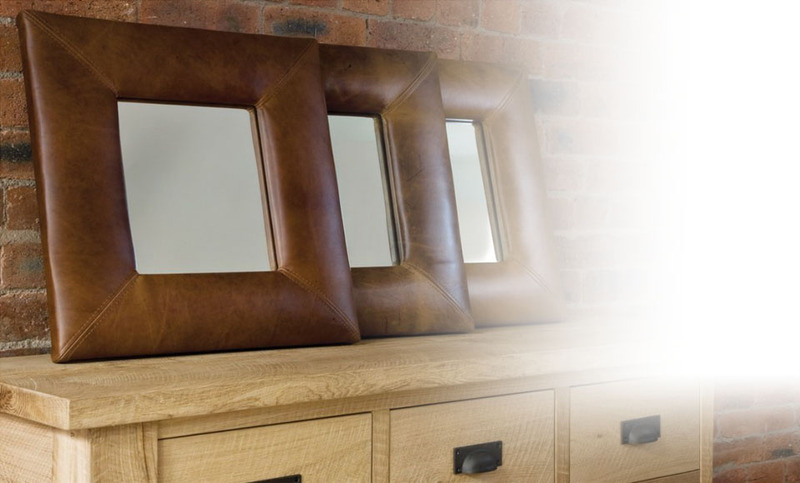 Our real leather framed mirrors are the perfect way to add some texture and soften the design of your interior. Brown leather adds a real feel to your room. Real leather framed mirrors add style and texture to your interior design. All mirrors come with fixtures and fittings for simple installation. Our real leather framed mirrors are the perfect way to add some texture and soften the design of your interior. Brown leather adds a real sort and worn feel to your room. Black leather can look sleek and stylish. Leather mirrors are the perfect option for any room in the house. Get your stunning handmade leather mirror from MirrorWorld today. 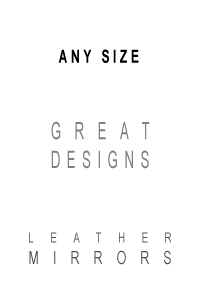 Use our FREE online custom size design service.